Dentist in Columbus, GA - Columbus, GA Family Dentist - Phillip S. Tully III D.M.D. At Phillip S. Tully III DMD our philosophy is to provide treatment to the whole person - with a special focus on how your teeth and gums relate to your total body health. Dr. Tully and Dr. Sharp have a deep love for the Columbus area, together serving the Columbus, GA community for many, many years. We also proudly serve military families. Dr. Phillip S. Tully III and Dr. W. Newton Sharp, your Columbus dentists, offer a full range of general and cosmetic dental treatments at our office to help you achieve your perfect smile. These treatments include family dentistry, TMJ treatmemt, CEREC crowns, and root canal treatment. We utilize the latest in dental technology and techniques in order to offer you the best preventive care and treatment available in Columbus. 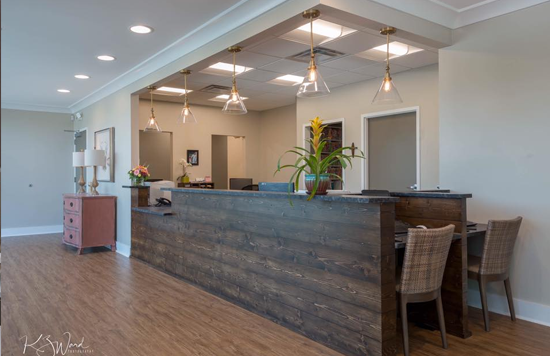 To learn more about our comprehensive services, talented Columbus dentists and office procedures, take a few moments to look over the informative pages on our website. For additional information, you can always contact our office by calling or stopping in. Relax with confidence at Phillip S. Tully III DMD. We're your neighbors and we're here to help you maximize the health of your smile.